Why did you first get into photography? I remember telling someone in high school that I wanted to be a wedding photographer when I grew up. I remember also thinking that it was kind of a joke, since at the time, it was mostly men in the industry. I minored in photography at Towson University, but got back into it after my own wedding. My wedding photographers let me shoot alongside of them, which really helped me to learn a lot! What other work do you do as a photographer? When I’m not at Baltimore Animal Rescue and Care Shelter (BARCS) photographing the doggies I photograph weddings, engagements, proposals, corporate headshots, family portraits, and events. My business is based in Baltimore, Maryland. What drew you to volunteering your services for BARCS? I’ve always been a big dog lover, and when it was time to add a four-legged member to our family, I knew we had to adopt from a rescue. When we were looking, there were NO pictures on the BARCS site, which I assumed meant that they didn’t have any dogs. I now know that was NOT the case! So when I went full time with my photography business, I was looking for a way to volunteer my time and talent. I got in touch with the photographer who was photographing the dogs at BARCS and asked if I could help in any way. 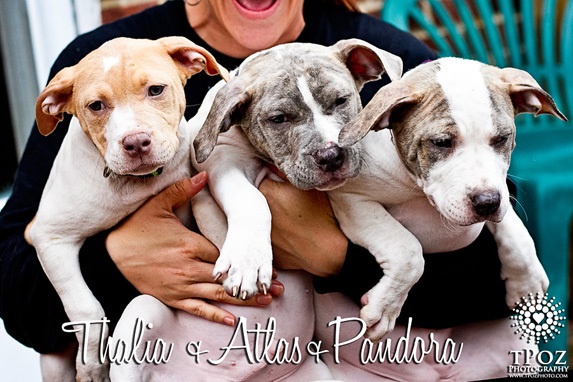 I loved that by giving the dogs “glamour shots”, their chances for adoption would increase significantly. How long have you been volunteering at BARCS? Since July 2011. What is your favorite part of volunteering your photography skills? Getting to know the dogs and discovering their personalities! I love capturing a silly grin, a wagging tongue or tail, or a dog rolling in the grass enjoying their freedom, or staring intently at a treat. The laughter, puppy kisses, elation, and happy tears upon hearing a dog has found their forever home…that’s my favorite part. 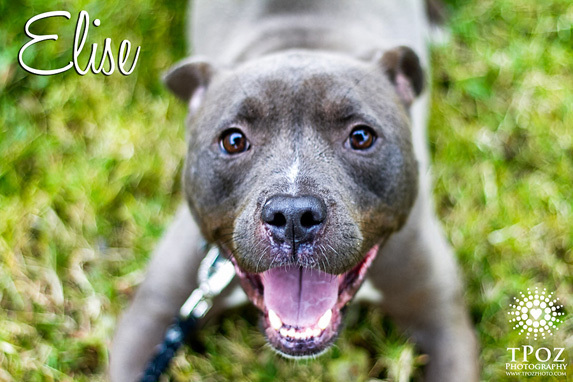 Do you think working with BARCS has changed your life? While I knew that taking pictures would help get the animals adopted, I had no idea how volunteering would change my life. 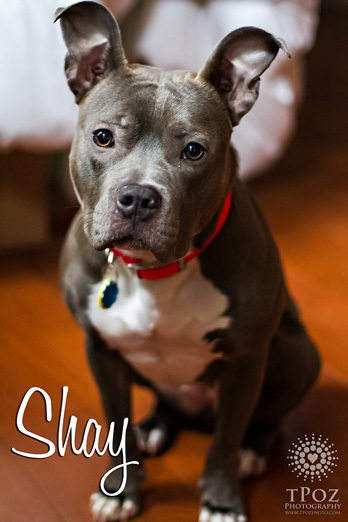 My passion for the animals, and especially the bully breeds, has grown exponentially. 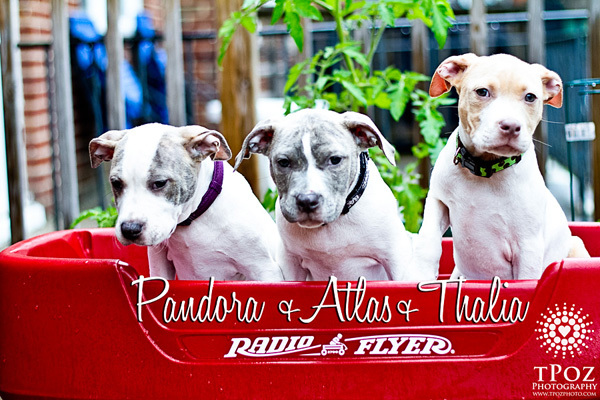 We have taken in six foster dogs and successfully found them their forever homes! I am lucky to have a supportive husband who works tirelessly with me to nurse the sick fosters back to health, and show them love. What sort of feedback have you received about your animal photos? People have been so encouraging with their positive feedback about the doggie photos. One of the volunteers in particular frequently tells me that my photos are the reason people have come in to meet a particular dog. Do you work with other photographers at BARCS? There is a professional photographer who photographs the cats at the shelter, but whatever I can’t capture is snapped by other volunteers, either with cell phones or point & shoots. With over 100 dogs at BARCS at any given time, I am thrilled that fellow volunteers have stepped up to help manage the ever-changing list of dogs that need photos – almost any picture is better than no picture at all! What would you say to other aspiring photographers to help them get involved with rescues in their area? PLEASE consider giving even just a few hours of your time each month – you will positively be saving lives with each click of the shutter. Tricks of the trade: I use my backup camera (Canon 7D) and the small & lightweight 50mm 1.8 lens. Since I’m usually handling the dog, and holding a treat or a squeaker in one hand and the camera in the other, it’s important to make it light, fast, and easy. If a treat doesn’t capture their attention, I try mouth noises, squeakers, toys, or even other dogs behind me! All photos courtesy of tPoz Photography.